MEGD, which is the umbrella organization for 24 member organizations of people with disabilities and chronic diseases, is again celebrating this year’s International Day of Persons with Disabilities. The event will be held in the Nordic House in the Faroe Islands on December the 3rd at 3pm. At the same time this will be the opening of a special photo exhibition. 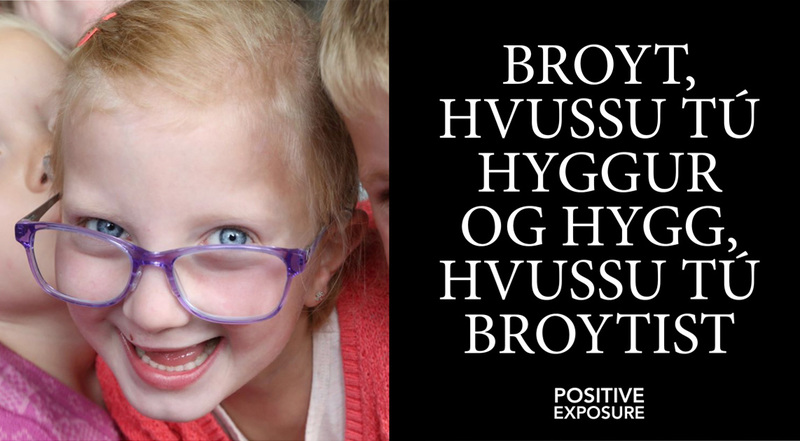 The photo exhibition, titled “CHANGE HOW YOU SEE, AND SEE HOW YOU CHANGE”, is a result of the collaboration between MEGD and the renowned and award winning photographer Rick Guidotti, who visited the Faroe Islands in September 2018. The purpose of his visit was to take photos of people who daily live with some kind of challenge. The 31 photos in the exhibition in the Nordic House is a direct result of his visit in September. The exhibition will hopefully, also through personal stories, create conversations and possible discussions about how we see each other as human beings. And further more, there is a wish to change how people normally, or often, see people living with challenges, who may look different because of disability, illness or other challenges. Exhibition Premiere: Community based in the Faroe Islands in collaboration with MEGD Organization.